Our school programme is perfect for introducing pupils to a range of scientific topics and encouraging excitement and curiosity about marine phenomena in the natural world. It has been designed to support several core elements of the National Curriculum.  SEA LIFE Birmingham will be closed from 5th November to 12th November. We endeavour to reopen on 13th November. Please keep an eye on our website for futher updates. If you are wishing to visit between November 2018 to Easter 2019 there will be building works within the centre. Re-routing will be in operation.